Metahaven is an Amsterdam-based design studio, founded by Vinca Kruk and Daniel van der Velden. 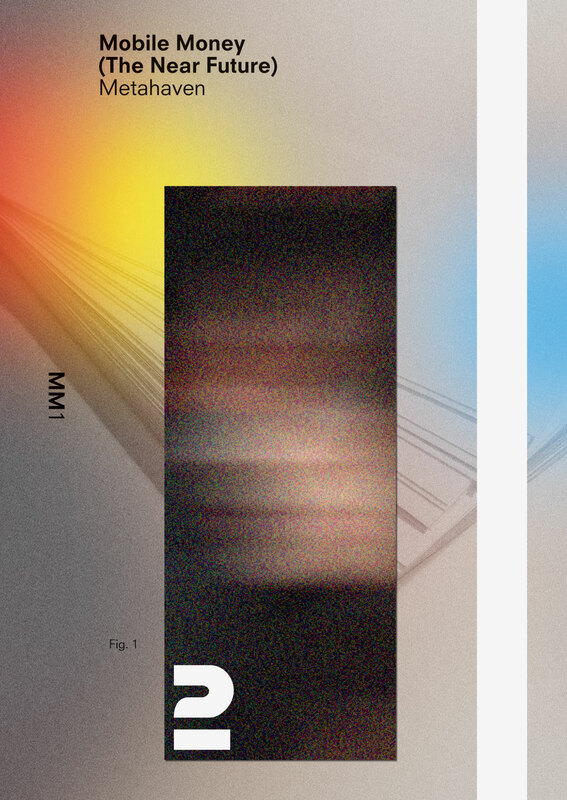 Metahaven creates and researches visual identity, which was the focus of their 2010 book Uncorporate Identity. 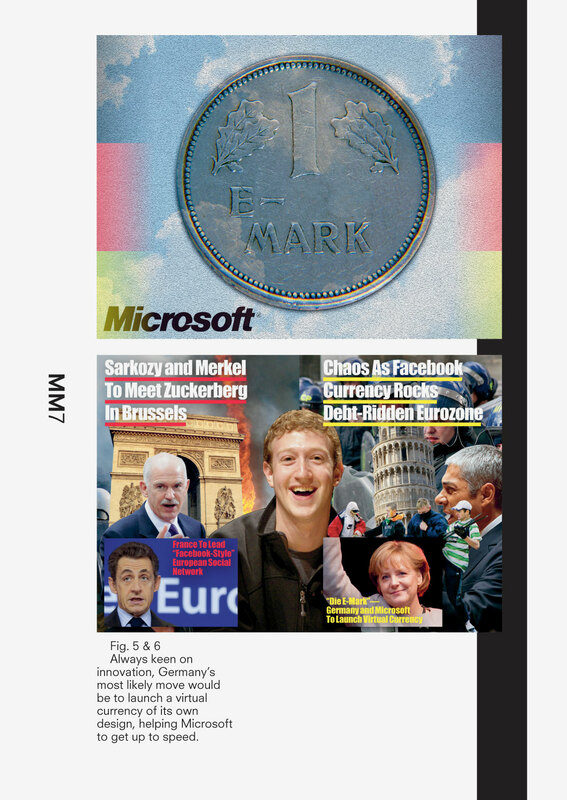 For this issue on mobility, they draft a speculative future for ‘mobile money’, in which a faltering Euro currency is rescued by Facebook Credits. The euro crisis has seen rising inflation, an inability for countries to manage their budget deficits, and subsequent difficulties in addressing the bailout schemes provided. The euro is beginning to lose credibility via its broken promise of the original model, found detailed in the Maastricht criteria. An inevitable fragmentation of countries within the euro zone has begun. Economists are beginning to seriously question the future of the euro and it is becoming relevant to speculate on what may succeed the euro in the event of a collapse. Despite calls to opt out of the euro and reintroduce national currencies, comeback national money would be quite baseless as a standard of value. Its moment of issue would need to be prepared long in advance. And its exchange rate would need to be established against the euro. Any freefall of the euro would inevitably affect the escape currency as well. We turn to organizations that have the capacity to establish membership, value and exchange, but are not states. Facebook, the social networking platform, is a commercial firm that provides its users with free services. As its user base continues to grow, Facebook may be considered a political association in an early stage of development. It is governed undemocratically, yet by the consent of voluntary membership. Facebook has over 600 million users, allowing the possibility for its credit system to become a dominant form of online payment. As Facebook gains further users, online merchants will become increasingly pressured to accept Facebook credits as a customary form of payment. Facebook credits have a fixed universal exchange rate, which decreases the chance of complications when purchasing goods. Despite rapid expansion, Facebook also continues to demonstrate reliability and security. However, just as Facebook has the power to accommodate growing online purchases, it is equally likely to use access to purchasing data for increased target advertising and overall control. With further expansion, there is reason to assume that Facebook credits may eventually become a plausible form of currency outside of the virtual realm, nursing the fractured currencies of the world through global oversight. 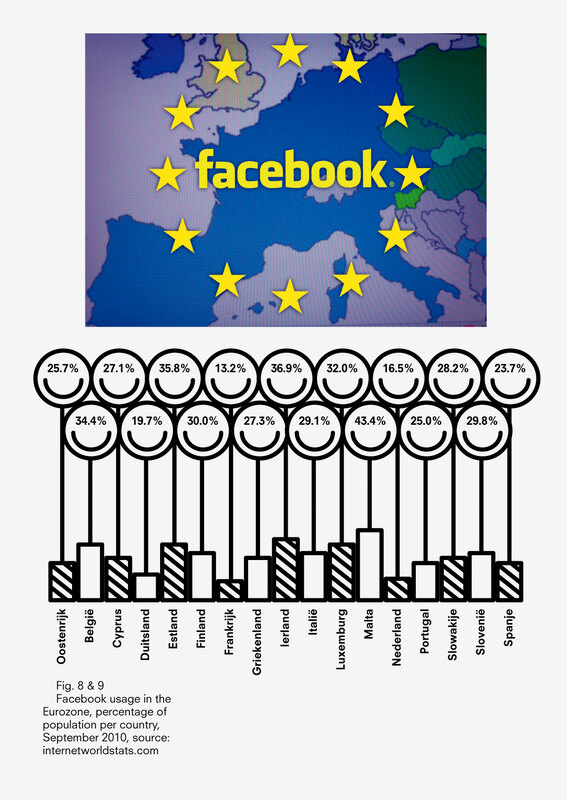 Facebook credits would present a more immediately feasible alternative to the euro in the event of a collapse, as many euro-zone citizens already have Facebook accounts, spandexed between national jurisdiction by birth, and social network participation by choice. A response to this situation should be expected from France and Germany, prone to present national alternatives to a simple fallback to Facebook. Germany’s likely response to a folding euro would not be a new Deutsche Mark, but a national virtual currency. Such an ‘e-Mark’ would meet a perceived desire for national jurisdiction and control, but at the same time express technological innovation. Conversely, France is expected to think through the problem on its own, more fundamental terms, and propose a European social network as an alternative to Facebook, just as it once tried to challenge the Google search engine. The success of both efforts is expected to be partial, with Facebook still coming out as the dominant currency standard. 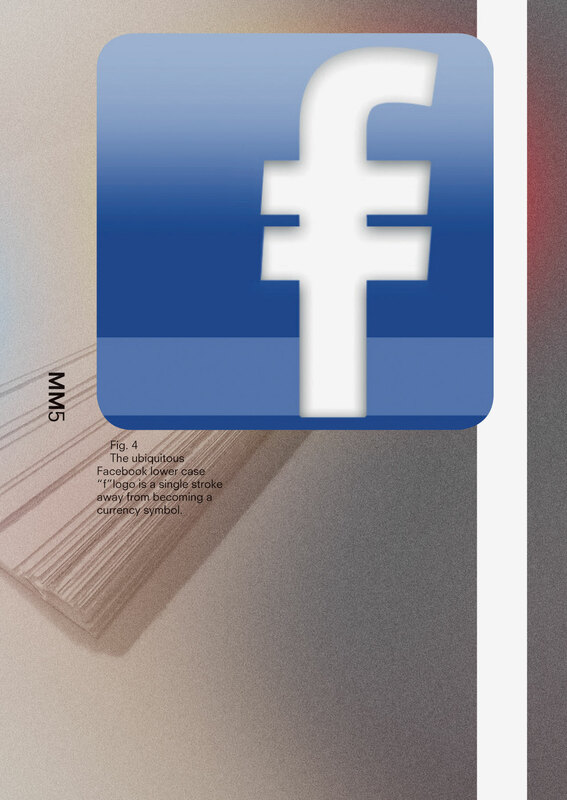 The euro-Facebook assemblage is makeshift and precarious. It includes not just money and finance but the entire social livelihood of citizen subjects. The monetization of social ties is both a treasure trove of Silicon Valley investment, and a last resort to faltering postindustrial economies trying to live off immaterial goods. Social reputation as credit is conclusively exemplified by the term ‘Whuffie’. 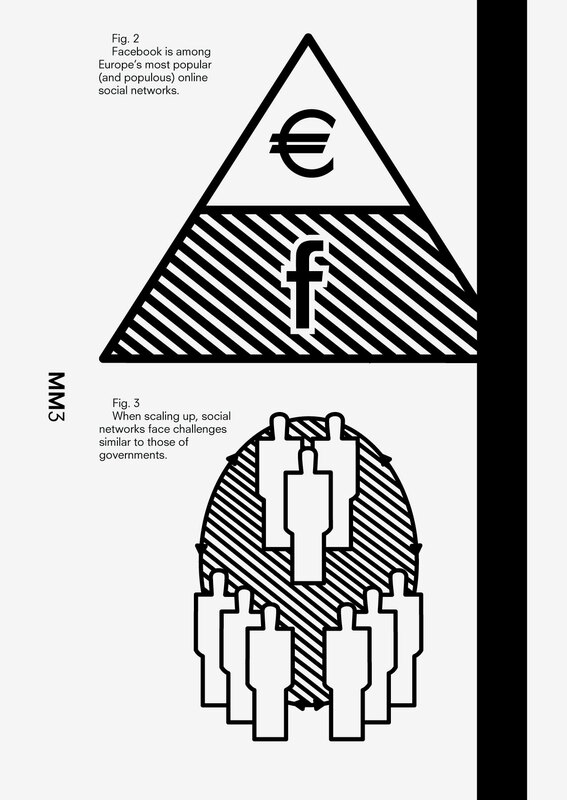 Originally conceived by the author Cory Doctorow as a fictional index of on personal reputation, Whuffie is now shorthand for the type of value exchanged in social transactions and consequently ‘stored’ in the user base of successful social media platforms. The social gold rush is eventually expected to exploit hitherto ungraspable occurrences, such as the making of eye contact. Facebook, in its relentless pursuit of the social domain, has recently made moves to brand protect not just its own company name but even the word ‘face’ itself. Facestate is the ultimate combination of government and social media. 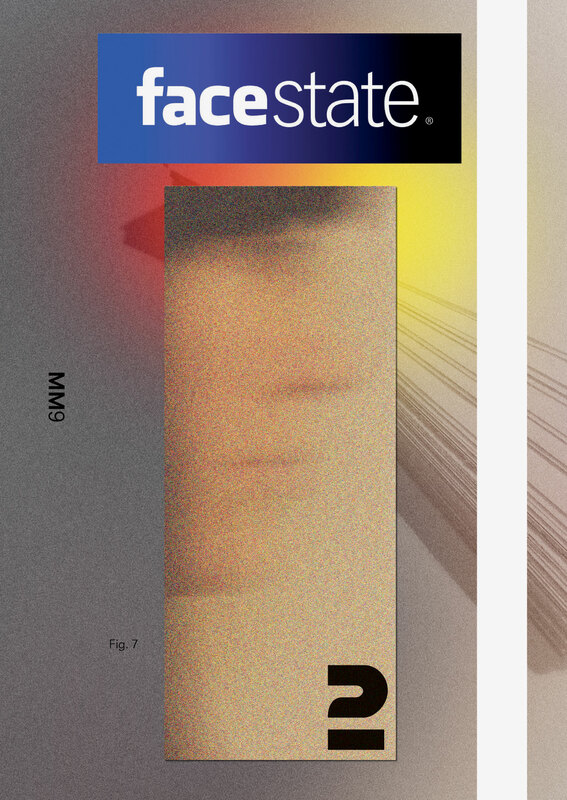 Under the combined regime of public spending cutbacks and participation in social networks, Facestate is expected to, in the mid to long term, supplant the welfare state. Facestate is the social superpower. Metahaven is an Amsterdam-based design studio founded by Vinca Kruk and Daniel van der Velden. Apart from commissions, Metahaven works on research projects on visual identity, such as as the Sealand Identity Project (2004), Transparency Inc. (2010–2011), and the Museum of Conflict (2006). Metahaven’s work was shown at Forms of Inquiry (London, 2007), Manifesta 8 (Murcia and Cartagena, 2010) and Graphic Design Worlds (Milan, 2011). Solo exhibitions by Metahaven were Affiche Frontière (Bordeaux, 2008) and Stadtstaat (Stuttgart and Utrecht, 2009). Metahaven’s book Uncorporate Identity (2010) is an anthology of design projects and critical writings. See further: www.metahaven.net.